Jeeves was right, but that title is wrong! The statement in title form, How Right You Are, Jeeves does two things. It tells you that Jeeves is going to offer up correct advice, as per usual. It also leads you to believe that Jeeves will play a large role in said title, and that is not the case. They should've stuck with the alternate title Jeeves in the Offing. Jeeves is Bertie Wooster's manservant. Jeeves has extracted Bertie from many a mishap. When Bertie is without Jeeves, he often finds himself neck-deep in the soup. When a Jeeves & Wooster book is without Jeeves, the book often drowns. How Right You Are, Jeeves is a perfectly adequate addition to the J & W series, but it's not one of P.G. Wodehouse's best. It lacks the wit and fun that fill the pages in spades when both Bertie and Jeeves are doling out the words. In this story, Bertie is left to fend for himself for the most part while his manservant is off on holiday. Jeeves briefly pops his head in to comment on the proceeds, but that's about it. Drawn again to Brinkley Court to partake in his aunt's French chef par excellence Anatole's cooking, Bertie soon finds himself embroiled in one ridiculous scheme after another, where the bog standard love triangle looks more like an octagon. The plot is a tad muddier than usual, as I don't feel Bertie has any great impetus pushing him on as is the case in other books. Another reason for this one feeling flat could be that it was written later in Wodehouse's life, being published in 1960 when he was 79. 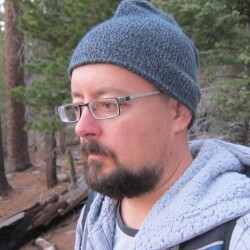 He would go on writing and publishing for another 15 years, but this is his twilight era stage and perhaps the old tried and true plots are getting a bit tired at this point. 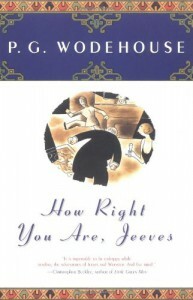 Even so, any Wodehouse fan can find plenty to enjoy in How Right You Are, Jeeves, such as recurring characters Aunt Dahlia, Sir Roderick Glossop, Bobbie Wickham, and the 18th century cow creamer.